What does the term "bet in the dark" mean in poker? 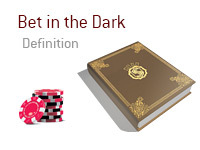 What is meant by the term "betting in the dark" in poker? In poker, a "dark bet" or "betting in the dark" refers to when a person bets without looking at their hand OR if they bet before the next street has been dealt. You are in the SB and have a massive stack. The BB has been playing very timidly all day, and you have been absolutely torturing him. 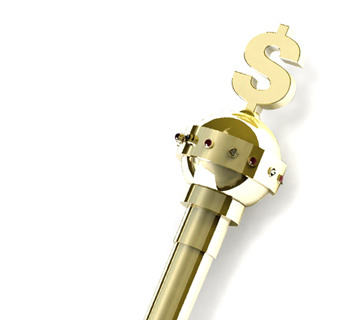 Action folds around to you, and you put in a raise without even looking at your hand. This is a "dark bet", as you haven't yet looked at your hand. The BB folds quickly. You are in the SB. Action folds around to the button, who puts in a standard pre-flop raise. You look down at Q-J suited and decide to call. The BB folds. Before the flop is even dealt, you announce that you are going to be betting the size of the pot. This is "betting in the dark", as the flop hasn't even been dealt yet. The flop comes Q-J-J, hitting you perfectly. Unfortunately for you, the button obviously had nothing and elects to fold his hand.